You know you want a whole grain flour. But what kind is best for the product you’re baking? One option is whole grain wheat flour. It is just what it sounds like – a flour milled from the entire wheat kernel. By using all three parts of the the kernel – bran, germ and endosperm, you get much higher protein and fiber content than with in white flours. 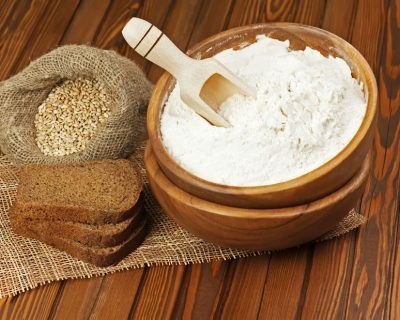 Whole grain flour’s high protein and coarse texture make it better suited for breads than cakes. Another choice is stone ground whole wheat flour, This is also milled from the whole kernel. However, it is ground with stone mills, rather than modern steel rollers. In addition to high protein and fiber, stone ground flours are higher in vitamins and minerals because less heat is produced in the milling process. But keep in mind that the stone process also allows for some variability across batches. With either one of these whole kernel flours, it’s important to add gluten to the mix. Why? Gluten is a key component in dough structure. It’s a storage protein that forms unique viscoelastic properties when the flour is mixed with water, giving dough strength and texture, among a few other things. Gluten is found exclusively in wheat, rye and triticale. However, the bran in whole grain flours interferes with the gluten, weakening dough structure. Enter vital wheat gluten – a derivative of gluten protein from wheat flour that is over 70% protein. When added to whole grain recipes, it ensures dough structure is strong and reliable. For breads that use whole grain flours, or that includes bran and fiber, up to 20% of vital wheat gluten can be used to ensure dough machinability. 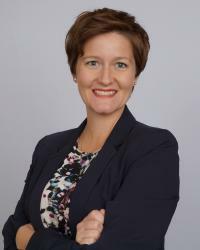 Brook Carson is the Vice President of Product Development and Marketing at Manildra Group USA. Brook has a Bachelor’s in bakery science and Master’s in food science from Kansas State University. She has an enthusiastic interest in learning about and understanding ingredient functionality and a knack for helping customers understand how to put those learnings into practice.